Now to those of you reading this thinking, err, I haven’t done mine yet, DON’T PANIC! Don’t put your head in the sand either! We are here to help you. If you are already registered for self assessment tax returns, HMRC will be expecting a return from you – even if you think your circumstances have changed since the year before and you no longer have work expenses (for example). If you have never registered but incur work related expenses, you should start the ball rolling to get the tax back you are entitled to. If you are at all unsure, just give us a quick call and we’ll set you straight and answer any questions you may have. Believe us – we see this every year. A quick chat with us will avoid all that stress and worry, and you could well end up with more of tax refund than you were expecting, or a much reduced tax bill. Get in touch with us now by calling 01280 821020 or requesting a call back using the button below! We don’t have a 5 star ranking for nothing! Happy New Year, our best wishes for 2018! Home » Blog » Don’t Panic! 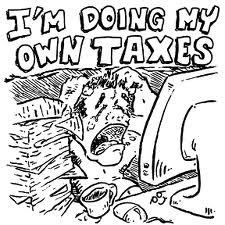 HMRC Tax Deadline Day 31st January!